Last month, we wrote about millennials and how they will soon dominate the workforce in nearly every industry, including manufacturing. As discussed in that article, if you don’t have a plan to appeal to and manage to the millennial mindset, you could have a tough time replacing retiring workers, filling demand, and growing your business. In that article, we discussed three pieces of advice to appeal to millennial workers. One was to think about flexible scheduling, as millennials value their time and have a unique way of thinking about how work integrates into their life. Nearly 74 percent of millennials want some sort of flexible scheduling in their career. They aren’t the only ones who would appreciate flexible scheduling, though. Your seasoned veterans may also want a less rigid schedule. In fact, a flexible schedule could make you more competitive in the intense competition for skilled workers. And as an added bonus, a flexible schedule could make your workers more productive and happier with their job. Productivity and happiness are usually a surefire recipe for better quality and greater output. The challenge, though, is that the shop environment has built-in limitations that make it tough to implement a flexible schedule. The work has to be done at the shop. There’s no opportunity to work from home. And often, work has to be done as part of a defined process. You can’t have one component of a job done in the morning and the rest done whenever the appropriate worker feels like coming in. The traditional shift structure has been a mainstay in the manufacturing world for over a century. However, there’s nothing saying you have to stick with tradition. Be creative in thinking about how you could realign shifts to create more flexibility. For example, perhaps you could stagger shifts. Instead of having a traditional 9-5 shift, perhaps you could have many different shift options. One could run 9-5, while another could run 11-7, and even another could run from 1-9. Employees could choose the shift that works for them. Another option is to simply introduce more breaks into each shift or even eliminate time limits on breaks altogether. In fact, there’s been significant research showing that more frequent breaks can increase productivity, reduce injuries, and make your employees happier. Instead of having your team at their stations for eight hours with one lunch break, give them the flexibility to design their own work and break schedule within their shift. As long as the work gets done on schedule, they’re rewarded with the freedom to take breaks how and when they want. At the end of the day, your main concern is whether the work gets completed on-time and to your quality standards. Do you care whether it’s completed at 1 p.m. or in the middle of the night? 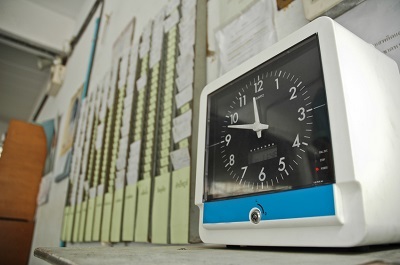 Consider offering a few off-hour shifts every week as a way for employees to make up time. For example, assume you have a worker whose child is going through a rough stretch at school. The worker would like to take some time in the afternoon on an infrequent basis to meet with teachers or help the child with homework. What if that worker could choose to take the afternoon off and then make up the work during one of the off-hour sessions? The same hours are getting worked and the work is getting done. You’re just giving your employees the opportunity to take control of their own schedule. Manage to outcomes, not hours. Again, the objective is to complete the work, not work an arbitrary number of hours. If one of your teams is super-productive and completes their jobs way ahead of schedule, give them the flexibility to take off early. Or reward them with additional PTO they can use at a time of their choosing. Think about the outcome you want and then use flexible scheduling to incentivize that result. If your workers want more vacation or PTO, give it to them on the condition that they also meet your requests. Flexible scheduling is much easier when you have the process in place to accommodate it. Shop software like E2 can help you facilitate a flexible schedule. The software gives you complete transparency into your work schedule and job requirements, so you can see exactly what work is outstanding at all times. That kind of visibility should give you the confidence you need to shuffle your shifts or award more breaks or PTO. You can also use the software to gauge productivity and track the work as it is being completed. The old time clock is antiquated. Track outcomes, not work hours. Shoptech’s E2 software can help you make the transition. Contact us today to learn more from one of our knowledgeable and experienced implementation consultants.